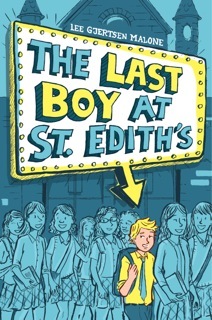 Kidliterati: The Inside Scoop on February's Debut Middle Grade! The Inside Scoop on February's Debut Middle Grade! For 2016, we're adding the inside scoop on each month's debut middle grades! Not only will you find a clear summary of each of the debuts, but the authors are also providing a handful of tidbits about their stories or themselves. Read on to learn more about February's releases, and read previous months by searching the tag "Inside Scoop" at the bottom of this post! Fenway and his beloved short human, Hattie, are the perfect pair. She loves romping in the Dog Park, playing fetch, and eating delicious snacks as much as he does. But when they move from the city to the suburbs, there’s bad news. While Fenway’s hard at work deterring intruders and battling a slippery floor, Hattie starts changing. She hangs out in a squirrely treehouse. She plays ball without him. What could be happening? Crushed and confused, Fenway sets out on a mission. He’s going to get his Hattie back and nothing will stop him—not the Wicked Floor, not the dreaded Gate, not even a giant squirrel! Get a dog’s-eye view of the world in this hilarious and heartfelt story about two best friends who learn that big changes aren’t always easy, but sometimes trying new things can get you everything you want. 1. The story is told from Fenway's perspective--through sights, sounds, smells, and a dog's understanding of life. Spoiler alert--Fenway's always on the lookout for evil. And treats. 2. 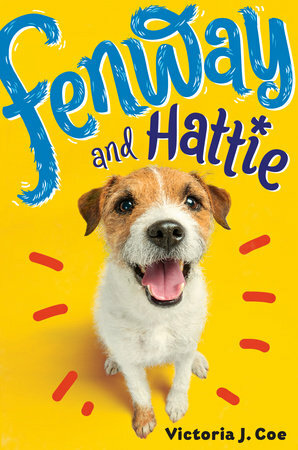 But it's called Fenway and Hattie because Hattie has her own storyline, too. After they move, she faces her share of challenges and adjustments. But of course, the reader only gets Fenway's side of things! 3. Fenway and Hattie proves that there's more than one way of looking at the world. Except for squirrels, who are just plain evil. 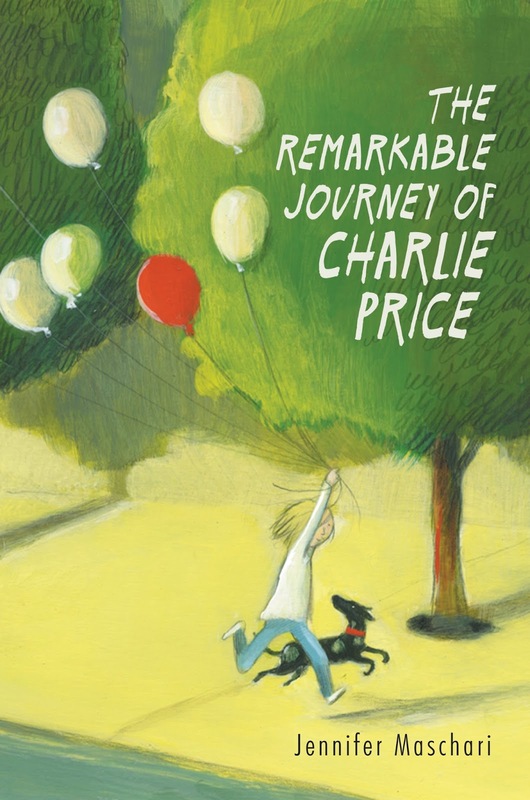 Ever since twelve-year-old Charlie Price's mom died, he feels like his world has been split into two parts. Before included stargazing and Mathletes and Saturday scavenger hunts with his family. After means a dad who's completely checked out, comically bad dinners, and a grief group that's anything but helpful. It seems like losing Mom meant losing everything else he loved, too. Just when Charlie thinks things can't get any worse, his sister, Imogen, starts acting erratically: missing school and making up lies about their mother. But everything changes when one day he follows her down a secret passageway in the middle of her bedroom and sees for himself. There are board games, scavenger hunts, and Mom's famous spaghetti again, and everything is perfect...at first. But something doesn't feel right. Whenever Charlie returns to the real world, things are different - and not in a good way. And Imogen wants to spend more and more time on the other side. It's almost as if she doesn't want to come back at all. If Charlie doesn't uncover the truth, he could lose himself, the true memory of their mother, and Imogen...forever. 1. The Remarkable Journey of Charlie Price takes place in Cincinnati, Ohio where I grew up. It was so fun weaving in references to my favorite things: LaRosa's pizza, Skyline Chili (a chili that's very different than other chili you may have tried), and The Racer roller coaster at King's Island. 2. Charlie Price is part of a Mathletes team, and they have a big debate over what to write on their team t-shirts. I'm a former classroom teacher and one of my favorite things about moderating clubs was the t-shirt design! 3. There's a really great dog in the book named Ruby. Seventh grader Jeremy Miner has a girl problem. Or, more accurately, a girls problem. Four hundred and seventy-five of them. That's how many girls attend his school, St. Edith's Academy. 1. The movie that Jeremy and his friends create is called “Captain Flynn and the Mission to Mars” and it is a sci-fi epic of extremely dubious quality. 2. There are a lot of pranks in this story. They start out funny and innocent, but get progressively worse. Be advised! I loved Fenway and Hattie and I can't wait to get my paws on the other two!